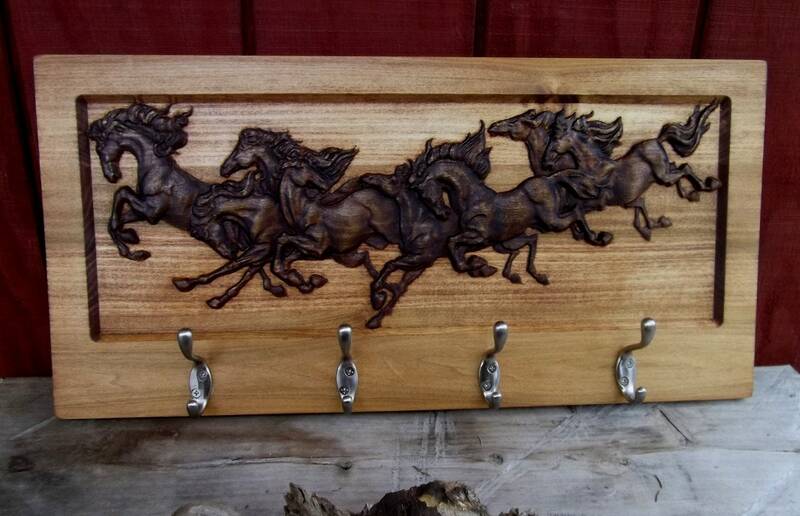 4 slot bridle rack from CarvedArtStudio511. 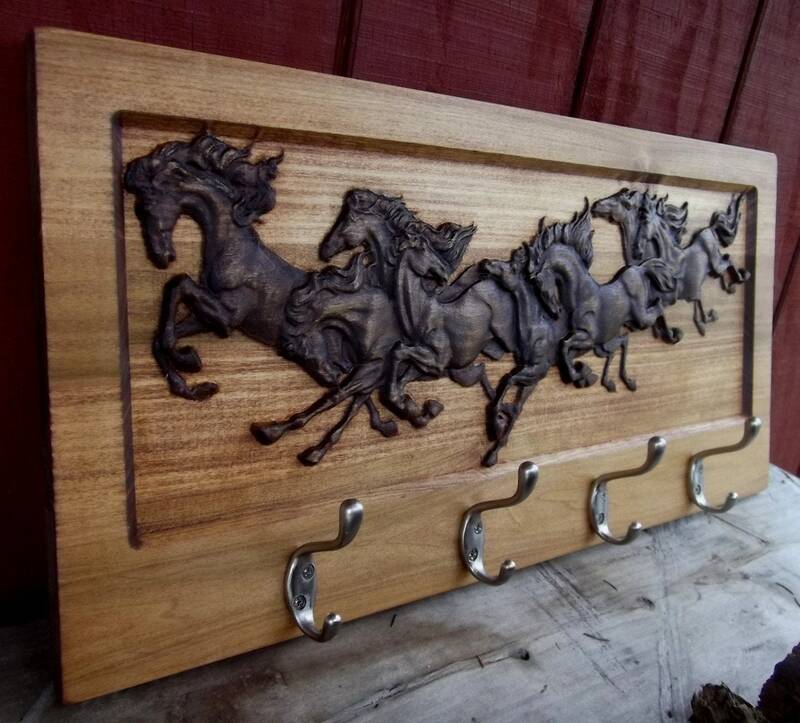 Golden Mahogany stained background with Walnut stained wild horses, lightly distressed finish with your choice of black or nickel hardware. The piece measures 24" x 11.25. Hand finished with a light distressing.